Famous For: History, Photography, Tourism. Entrance Fee: The entry fee charged here is 15 INR for Indians and 200 INR for foreigners. Also, there is no extra fee for taking pictures, but you would have to pay 25 INR for taking videos. 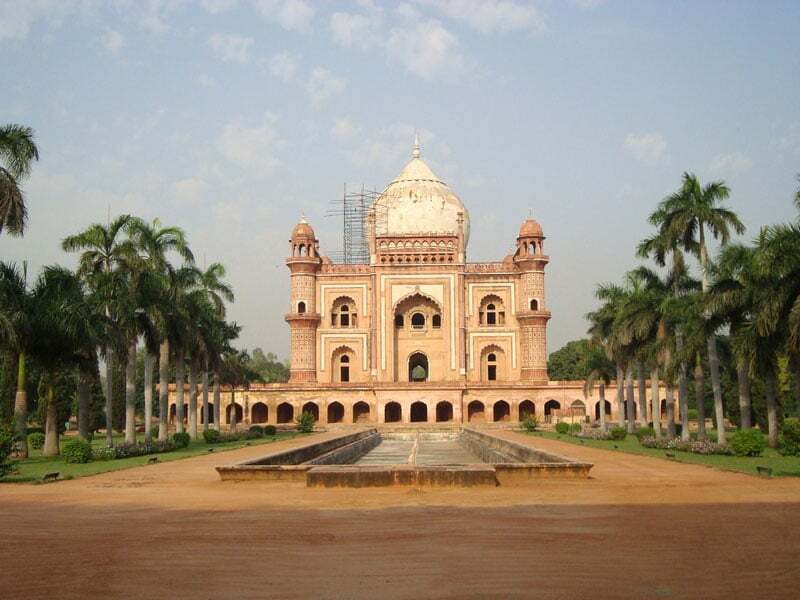 Visiting Time: The Tomb of Safdarjung is open on all days, from 7 am to 6 pm. Visit Duration: There is no particular limit on the amount of time you spend here, except the opening and closing timings. There are many popular monuments in India which are a true symbol of its rich heritage and culture. The Tomb of Safdarjung is one such popular tourist attraction, which has an architecture similar to that of Humayun’s Tomb in Delhi. Well, it’s not just the way both these historical tombs are constructed, both these tombs belong to eminent Mughal leaders. 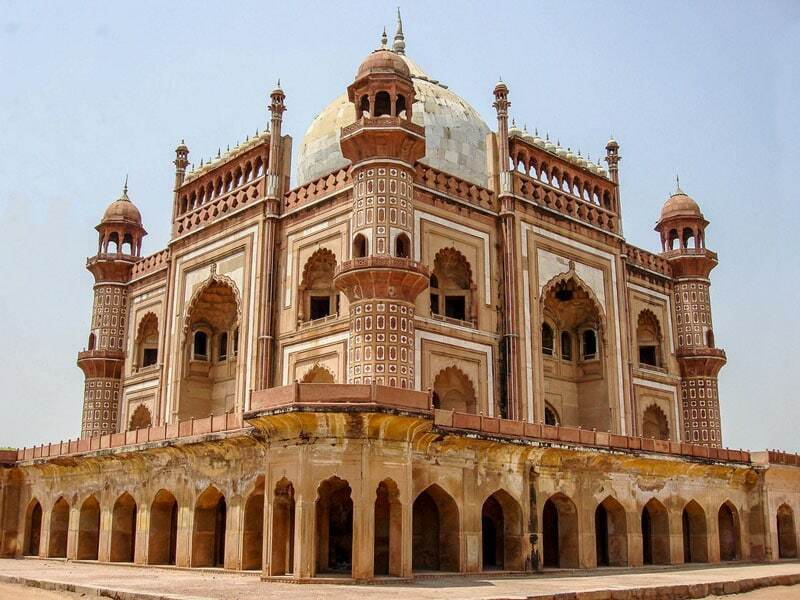 The most interesting and economical way of visiting this mausoleum is starting from the Tomb of Safdarjang, then visiting Lodhi Garden, shopping at Khan Market and enjoying good food at restaurants like “Lodi – The Garden Restaurant” at the end of the day. This monument provides a very calm environment, unlike most of the crowded areas in Delhi. Also, the place is well-maintained and you can carry food inside while you are visiting. The climate in Delhi reaches extremely high levels in both summer and the winter season. Therefore, it is always advisable to carry a backpack with water bottles and other supplies to stay hydrated in these conditions. Even though cashless transactions are getting popular throughout the country, it is better to carry some cash with you for buying items from small vendors. The architecture and the intricate design of this monument has many different aspects of the ancient Mughal architecture, and the entire construction is composed of many popular Arabic engravings. The garden surrounding the mausoleum is also provides a very aesthetic landscape for photography. Several agencies and local tour services provide the facility of hiring travel guides for tourist attractions around the city. There are many also private and government approved guides at different parts of the city. In summers, visiting this mausoleum during evenings is much easier and preferable, because a gentle breeze during the dusk is so much better than facing the scorching sun. The most popular timing for visiting this tourist location in this season is during evenings, around 4 to 5 pm. A major portion of Delhi is now inter-connected by Delhi Metro, which makes it easier for tourists to reach destinations such as this mausoleum within a short amount of time. If you are planning to visit this mausoleum, there are many different ways to reach here. The very first option is to take a Metro and getting off at the Jor Bagh metro station. The tomb is at a short distance from here, and you can take an auto or a taxi to reach the monument. Also, another option is travelling by bus, and in this case, you should buy the ticket for Jor Bagh or Safdarjung Madarsa bus stop. Also, if you are traveling by air, the nearest airport here is the Safdarjung Airport. At the very first look, the entire structure reminds you of the central dome of the Taj Mahal, which showcases the style used in the Mughal architecture. A major difference between these two is that the Tomb of Safdarjung is made from sandstone and marble, whereas the Taj Mahal is made from ivory-white marble. This tomb is one of the popular establishments made during the Mughal Empire. Even though the Humayun’s Tomb in Delhi is quite popular and often associated with this dynasty, the same cannot be said for the Tomb of Safdarjung when it comes to popularity. Again, due to many different reasons, this monument receives very less renovation and maintenance as compared to other popular tourist hotspots in Delhi. The mausoleum also has four fountains surrounding its structure, and a madrasa, which is a popular component of the Islamic architectures. Also, many of us are still not aware of the news that this mausoleum witnessed the shooting of a popular Hollywood film “Jobs” released in the year 2013. There are many aspects of the Indian culture that makes you wonder about the extent of its beauty and the stories of its history. The Tomb of Safdarjung is one such beautiful and artistic memory of the country’s rich heritage and walls built around the mausoleum still are a memoir of a strong historical dynasty. Awesome information. Will try to visit on my next Delhi tour.